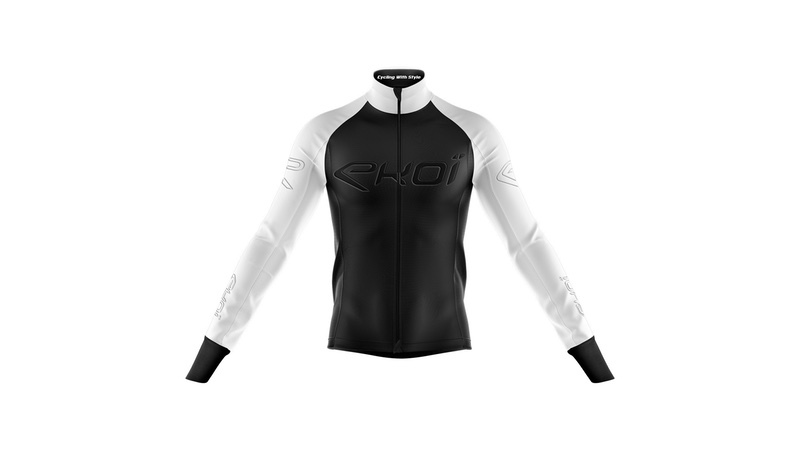 Available online only on www.ekoi.com at €149.99, the Embossed Jacket has a water repellent treatment that helps to protect the rider from rain or mud while pedalling. The ‘Cold Stop Cuffs’ further prevent cold air and rain from getting up the sleeves and along the fleece-lining. An inner storm flap makes the jacket suitable for riding in temperatures down to 10°C with just a technical base layer – and down to 0°C with a technical base layer and a long sleeve jersey as a second layer. Four back pockets, one of which has a zip, give space for keeping personal belongings and keeping valuables safe. To celebrate the launch, EKOÏ is also launching a White & Black limited edition of the Légende helmet to match the White & Black version of the Embossed Jacket.